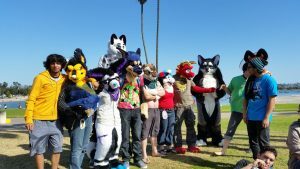 SoCal Furs is an “umbrella site” to find (and connect with) furry fans living in Southern California. Our website is intended to serve as a resource for local events centered around “anthropomorphics” and those that enjoy furry fandom. We want to make it easy, for long-time furs and new furs alike, to find whats close. Events are highlighted and introduced through our calendar, and then the signal is boosted further using our series of social network websites. 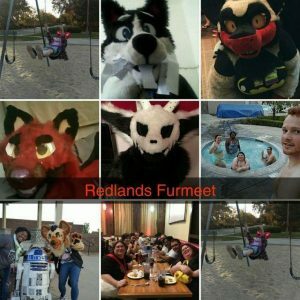 Who is Behind SoCal Furs? Established in 2001, SoCal Furs was started by Crassus, and administered by Dark Fox. As Dark Fox a fur that was local to the area. It was administered by Dark Fox. 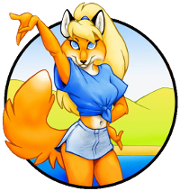 Originally called the Southern California Furry Web Portal, the SoCal Furs website was set up with a small amount of links to locals and an updated list of upcoming events. 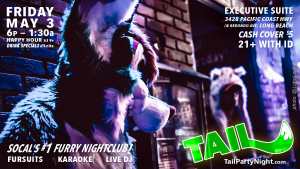 With the original mailing list (Yahoo Groups), furries could chat with one another, with the website posting the times for the weekly live chat. In 2006, Dark Fox would hand the website over to Stego S. Aurus , who serves as the website’s current owner. The SoCal Furs’ Annual FurBQ also started being organized by Stego S. Aurus with Irvine Regional Park providing ample space for our growing numbers. In recent years, the calendar has been enhanced and are gradually adding more functions to this website for community resources. Kat the Leopardess updates and maintains the latest events for the area. Our interactive map for the sub-regional groups will return later this year….